Good afternoon everyone. It's a dark and rainy day here. Hoping some of you are having some beautiful weather. All these boxes are perfect for classroom parties, grand kids, etc. You can purchase any of these in sets HERE. These are so cute Nana! I love them and they are perfect in size for gift giving a little something to friends and family! 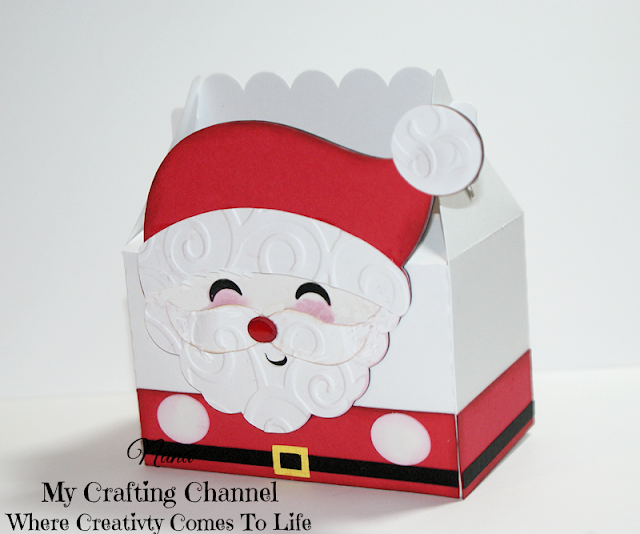 Love Mr & Ms. Santa Claus gable boxes..... Perfect for some baked goodies to go in there! It just stared to rain over here too..:( Both boxes are Super DUPER cute!! All your treat boxes are fun! I am totally loving Santa and Mrs. Claus! The inking and embossing really bring these cuties to life - love them! These treat boxes are super cute, Nana!!! Love them!!!! Have a great day. Adorable! I love the embossing and the rosey cheeks! LOVE these!!! Awesome gift boxes!